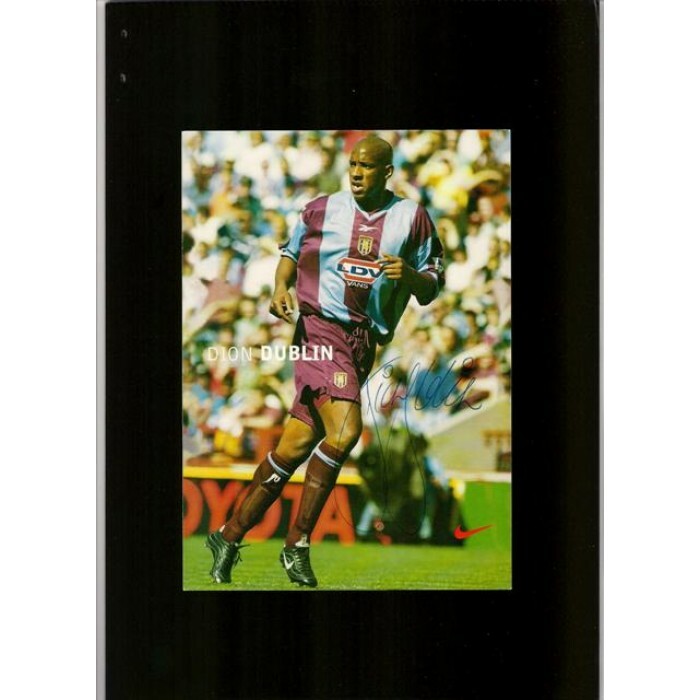 Sponsor card signed by Aston Villa footballer Dion Dublin. 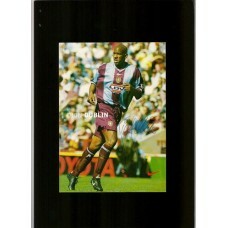 This is a Nike sponor card that is twice the size of a normal postcard and has a Dublin signature in blue ink. Nice item.